Believe or not, I am writing and listening to this SwuM release on 11 500 meters altitude. My Norwegian Airlines flight from Barcelona to Tenerife is absolute awesome and having free wifi is just... to me it feels mental. 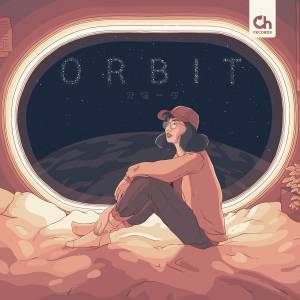 Last week I featured 1 of the tracks off SwuM's new release O R B I T (out via Chillhop Records) and since... well, I am kind of above the surface of Earth, it felt appropriate to continue the journey. "Stay" is a gorgeous fusion of ambient and experimental electronica, living somewhere in US producer's beat universe. Listening to this and watching the clouds literally below me feels surreal.